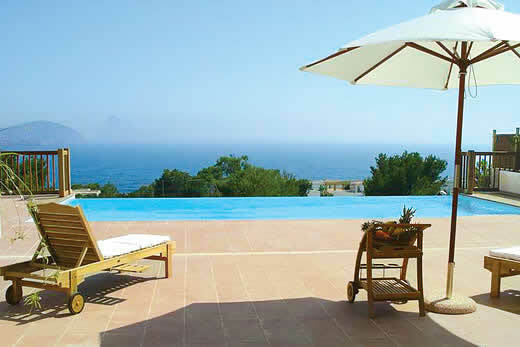 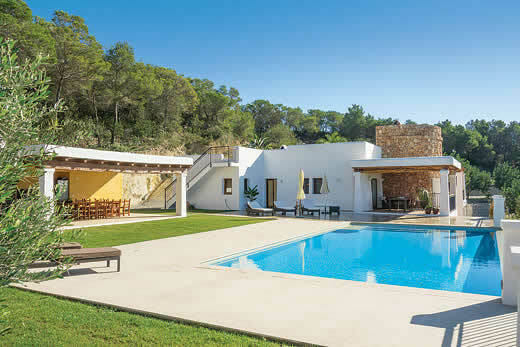 Finca Torre villa - Ibiza , Spain . 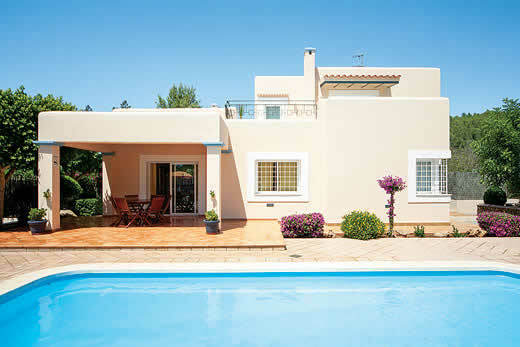 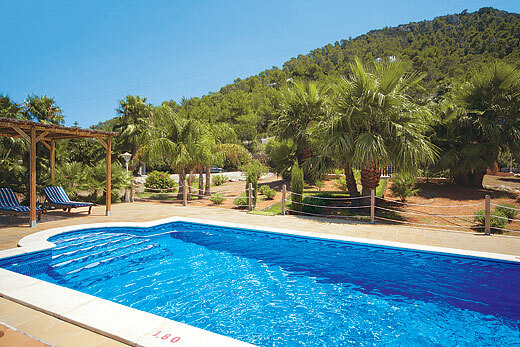 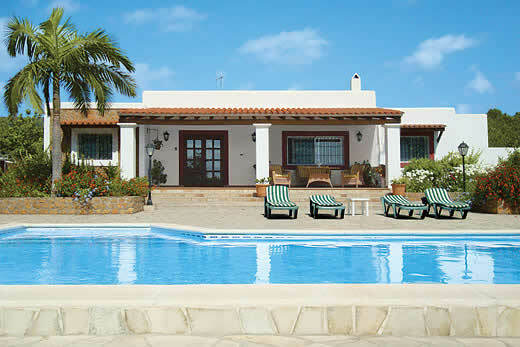 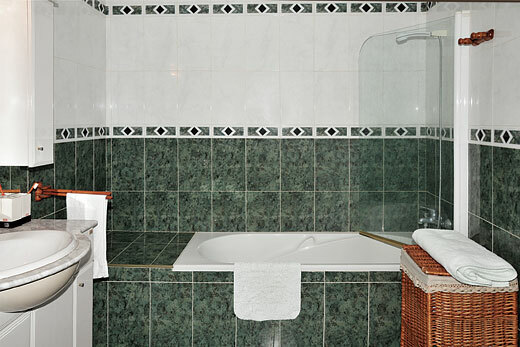 Self Catering Family Holidays and Short Breaks in Ibiza. 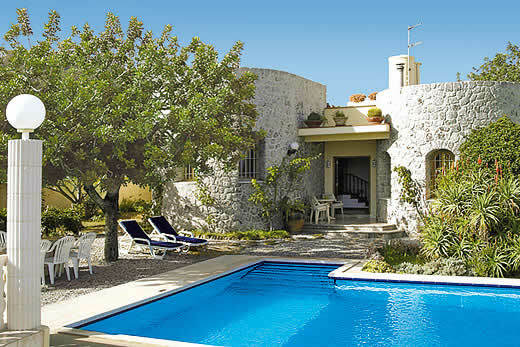 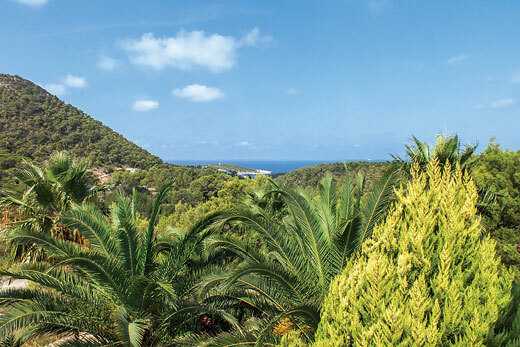 What we think of Finca Torre villa in Ibiza:Finca Torre is a wonderful mix of traditional and modern, with air conditioning and plasma screen TV blending effortlessly with terracotta tiled floors and olive wood beamed ceilings. 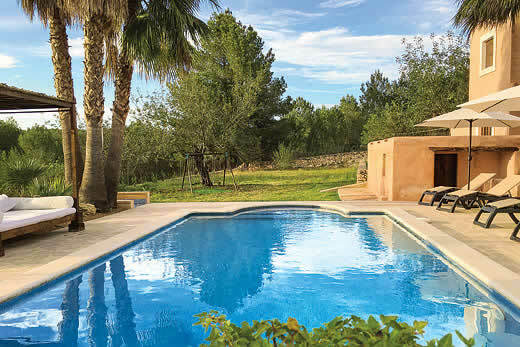 The villa is notable for the 400 year old mill tower that gives the house its name (torre is the Spanish word for tower) but the welcome addition of a large swimming pool, surrounded by lawn and gated from the shaded front terrace, makes it a great base to enjoy an Ibizan summer holiday. 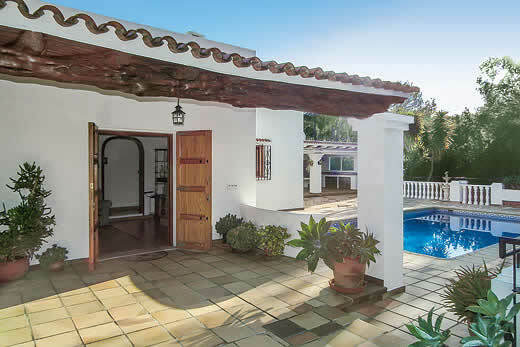 Its location close to the road leading into Ibiza town means that its an easy drive to the many amenities and beaches around the famous capital and there is a large supermarket almost on the doorstep. 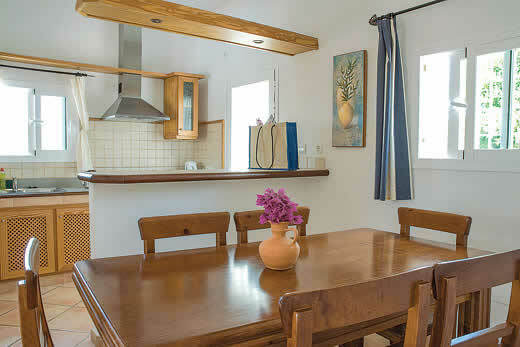 Inside, the house enjoys a well fitted kitchen, air conditioned lounge and spacious bedrooms, including a large family room with a double bed separated by a bank of wardrobes from a further two twin beds, making it ideal for parents who want to be close to their children at night. 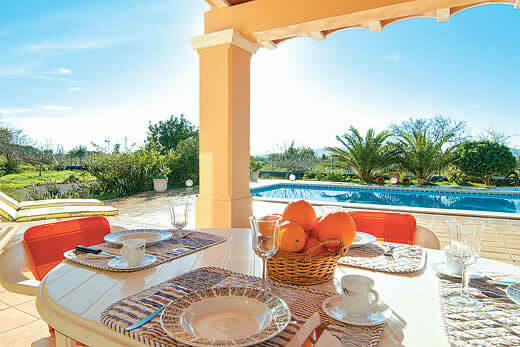 Holiday offers and last minute deals in Spain from only £2651 - Don't miss out book your holiday with uk-holiday-offers.co.uk today!